Historic Glass Bottle Identification & Information Website. 1. Use the Main Subject Pages links along the upper left side of each major "theme" page to move about the pages. 2. For orientation, the major subject "theme" pages (e.g.,, Bottle Dating, Bottle Typing/Diagnostic Shapes) have a pale beige background; subordinate pages (like this box) have a darker tan background. 3. Near the top of every page on this site is a relative position or locater line with hot links that looks similar to the following example - HOME: FAQ's: Website map. This line shows how "deep" you are into a sequence of pages and can be used to retrace your steps by clicking on the hyperlinks. 4. There is also a Website Map link at the bottom of the Main Subject Pages links bar. The Website Map is a "pop-up" page (see explanation below) that lists and has hyperlinks to every page within this website. Review that page to get a broad idea for what this website covers and contains. 5. Use the Back arrow on your browser to retrace your page moves. On both the Internet Explorer and Netscape browsers this is usually in the upper left hand portion of the screen below "File", though can vary depending on the custom settings a user has done on their browser (though if you know how to customize your browser, you undoubtedly know where the Back & Forward arrows are). 6. Within these pages are lots of hyperlinks (or simply "links") in the form of highlighted words, phrases, and pictures. When clicked on these hyperlinks will take you to related pages, enlarged pictures, definitions, and more. The necessity of presenting a lot information and pictures utilizing a lot of links makes this website somewhat complicated. When in doubt, use your browsers Back arrow to retrace your steps. 9. The information from this website is free to access and quote although we do request that the source be properly cited. Click HERE to go to the question on the Frequently Asked Questions (FAQ's) page which describes the suggested ways to cite this site in a publication or on another website. 10. Most of the measurements on this site are in centimeters which may be unfamiliar to many people. Click centimeters to inches conversion table for a table that makes the conversion easy. 11. 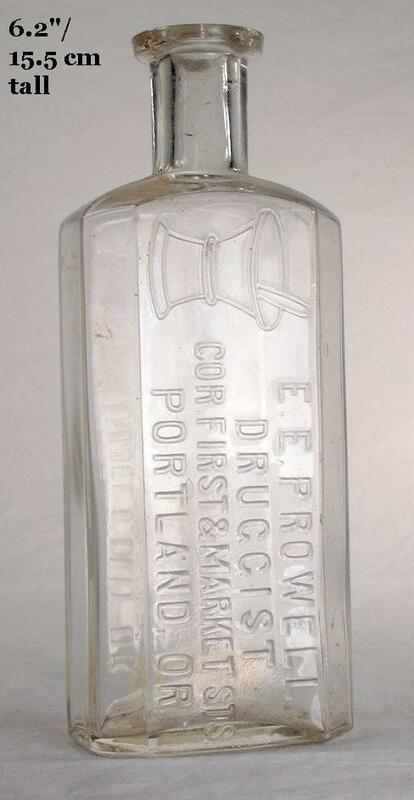 Be aware that the author of this site has much more experience with mouth-blown bottles (19th century up until about 1920) than machine-made bottles. A user may find that this site is skewed towards mouth-blown items, though there is a plethora of information on machine-made bottles also. 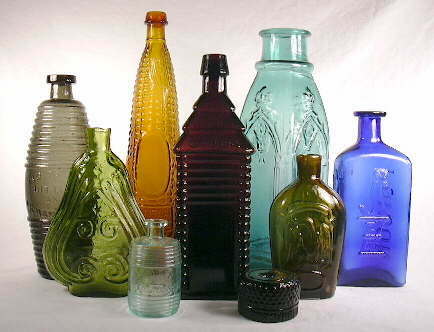 Without a doubt, however, mouth-blown bottles are a much more complicated subject - from the perspective of the goals of this website - than the later machine-made items. As time goes and more depth is added to this website, machine-made (and all) bottle information will also be expanded. 13. Users will frequently come across a reference citation that is - or includes - "empirical observations." 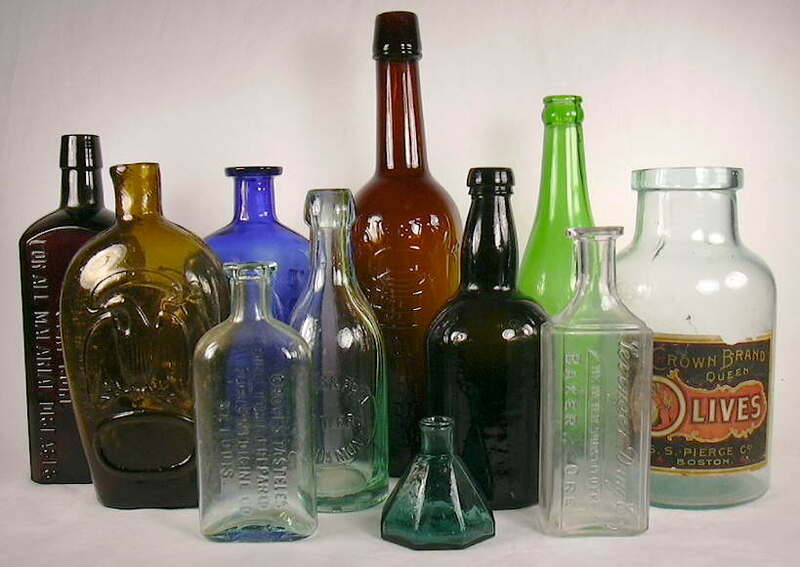 This is a reference to observations made by the author during his four and half decades of interest in the fascinating world of bottles and bottle making. 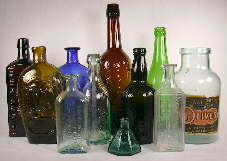 Many of the concepts articulated on this website are based on extensive long term observations regarding the physical features of bottles as related to the manufacturing process, bottle shapes and their connection with dominant uses (bottle types or typology), familiarity with (and possession of) much of literature related to the subject of bottles and bottle making, and simply the handling and close-up observation of tens of thousands of bottles and bottle fragments. 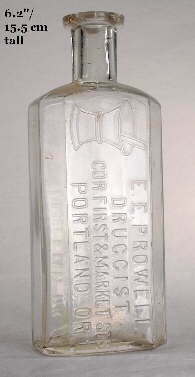 This ever ongoing self-education effort has made apparent to the author many bottle trends and concepts which were either unpublished or little noted in the literature. This website is the authors attempt to flesh out and make useable, within the framework information previously published, these observations towards meeting the website goals articulated on the homepage.